The Rev. Joseph Murrenz Constant is a priest in the Anglican/Episcopal Church. Born in Mirebalais, Haiti, Rev. Constant holds a Bachelor’s of Engineering from Northeastern University and a Master of Divinity from Virginia Theological Seminary. He served as the Assistant Rector at St. Timothy’s Episcopal Church in Washington DC for almost two years. He then joined the staff at Virginia Theological Seminary in 2005. Rev. Constant has also published a book entitled No Turning Back: The Black Presence at Virginia Theological Seminary. In 2005, Rev. 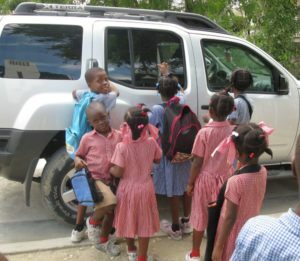 Constant established Haiti Micah Project, Inc. located in Mirebalais, Haiti, in response to the city’s street children and orphans. In 2010, following the earthquake in Haiti, Rev. 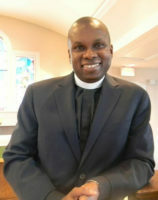 Constant joined the staff of the Presiding Bishop of the Episcopal Church, in New York City, as a Special Coordinator for Haiti. The task of the Special Coordinator for Haiti was to facilitate the multiple efforts among Episcopal churches, dioceses, networks, and organizations committed to the rebuilding of the Diocese of Haiti. Father Constant served as Pastor of Holy Comforter Episcopal Church in the Northwest region of Washington, DC. In March he will begin as pastor at St. John’s Episcopal Church in Beltsville. Rev. Constant and his wife Sarah live in Alexandria, VA with their two daughters, Claire and Christiana.